The Binukid language is slowly disappearing since many of the natives have intermarried with the other groups that migrated to the area, and their children have grown up speaking Cebuano-Bisayan, the province’s lingua franca today. In fact, the majority of Bukidnons already use Cebuano-Bisayan as their mother tongue; only 13% still use Binukid. 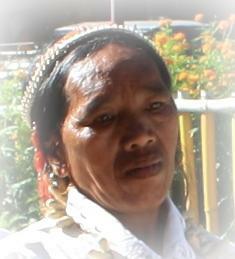 Binukid speakers mainly live in small barangays in the northern municipalities.